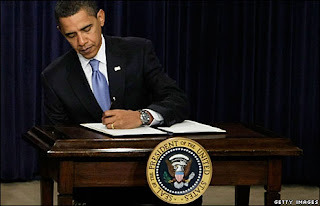 Is it a just a weird coincidence that six of the last 14 American presidents have been left-handed? And now add president Barack Obama to make it 7 out of the last 15. This is a very interesting statistic considering that approximately 10% of the total population is lefthanded.Have you heard of the old adage "lefties are the only ones in their right minds"? So is there something to it? Are there significant personality trait differences between righties and lefties? Here are some interesting facts:If you're left-handed, your personality traits may include resiliency & independence. Here are a few fascinating facts about left-handed people.First, Some Left-Handed Statistics About 10% of the world’s population is left-handed. There is a genetic component that determines right versus left-hand dominance, and it’s called the LRRTM1 gene. People with this gene are more likely to be lefties.The speech centers of right-handers and most left-handers are in the left brain. The left brain focuses on syntax and order, while the right brain monitors context and emotions.Some of us are “mixed-handed” people, which means both hands are used equally. Australian research shows that left-handed people think more quickly when playing computer games or sports. Left-handed people also tend to earn more money.Sexuality. Research from Canada reveals this interesting quality of left-handed people: they’re more likely to be homosexual.Mixed-handed people are more likely to alter their beliefs as they get new information, making them better able to see both sides of the story.